The new type of aurora light, nicknamed STEVE, was seen earlier this year, sparking everyone’s attention back in February. But, what if we told you that STEVE is not even a real aurora, and is in fact a totally new event that has amazed scientists? Even though STEVE is not really a new type of Aurora, it’s not bad news. Actually, the real identity of this event in the sky could be even more interesting to scientists. Physicists refer to STEVE as an entirely new phenomenon that happens on our planet. STEVE appears in the sky as a magnificent, breath-taking collection of purple ribbons that streak across the sky, and it has been seen across the sky for decades now. Nevertheless, it only came to the attention of scientists in 2016. 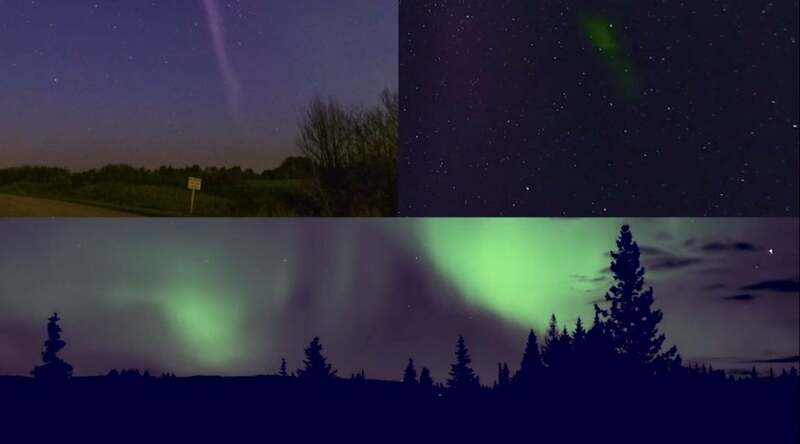 The Alberta Aurora Chasers, that even formed a Facebook group for tracking the aurora lights, named the new type of Aurora STEVE. Their idea was also backed up by scientists who officially named it Strong Thermal Emission Velocity Enhancement (STEVE), so that its name given by the aurora enthusiasts wouldn’t be lost. Earlier this year, in February, researchers announced that the glowing purple and white streaks in the sky were really a new type of Aurora. The display looks different compared to the original polar lights that we see in the northern sky, shown in those beautiful Instagram photos. The light produced by the two is entirely different, which is why another team of scientists focused on trying to find out STEVE’s mechanism, by studying the event that took place in March 2008. It is the solar winds that are responsible for the creation of an aurora event. The solar winds interact with the charged particles from Earth’s magnetosphere, mainly with protons and electrons. Influenced by the solar winds, the charged particles fall into the ionosphere and travel through the magnetic field, which then manifests as an Aurora in the sky. The polar lights are usually green, although they sometimes appear to be red or blue. “Our main conclusion is that STEVE is not an aurora,” physicist Bea Gallardo-Lacourt of the University of Calgary in Canada said in a statement. In order to figure it out, the team of researchers observed the rain of charged particles into the ionosphere, in order to see whether the same rain would happen in the case of a STEVE event. Such an event took place on March 28, 2008, and researchers used both data from cameras on the ground and NOAA’s Polar Orbiting Environmental Satellite 17, which was located directly above at the time when the event took place. It is equipped with an instrument capable of measuring charged particles that fall to the ionosphere. Unfortunately for those who share love for auroras as well as the new type of aurora, the instrument didn’t find such particles. STEVE’s glowing mechanism must be different, with that in mind. The researchers gave it a new name, calling it “skyglow,” although STEVE is still appropriate for use. Their next step toward uncovering STEVE’s true identity is to find out if there are streams of rapid ions or electrons in the ionosphere that are responsible for STEVE being created. There is also the possibility that the source of STEVE’s creation is located at a higher altitude. The team uncovered their findings on the new type of aurora in the journal Geophysical Research letters.